The annual Festival of Remembrance held at the Royal Albert Hall commemorates all those that have fallen in the service of their country. Flight Lieutenant Mike Chatterton lead the contingent to mark the end of his 40 years of service to the RAF. After almost 40 years of service in the Royal Air Force, 60-year-old Flight Lieutenant Mike Chatterton from RAF Waddington bowed out in style on his last day of service. In a military career that began in 1974, and with over 10,000 flying hours behind him, the Flight Lieutenant marked his last day by leading out the RAF contingent at the Festival of Remembrance held at the Royal Albert Hall. At 21, Mike enlisted in the RAF and he has since served on operations in the Balkans, Iraq, Afghanistan and, most recently, Libya. The Flight Lieutenant concluded his operational flying career on 51 Squadron RAF Waddington flying the Nimrod R1, which was retired from service in June 2011 with Mike at the controls. Having now become a member of the Volunteer Reserve, Mike will continue to fly and give air experience to cadets in the Tutor aircraft at RAF Cranwell. Mike will continue to enjoy sitting at the controls of his favourite aircraft type – the Avro Lancaster – as he is part of a small but dedicated team of people that keep NX611 – “Just Jane” in the public eye. Mike Chatterton in the Cockpit of ‘Just Jane’ at East Kirkby. Having amassed over 450 hours as a pilot with the Lancaster of the Battle of Britain Memorial Flight during the ’90’s Mike now pilots “Just Jane” for the Taxy Runs at East Kirkby Aviation Heritage Centre. Passion for aviation has run through the Chatterton family for generations. Mike’s father John Chatterton served as a Lancaster pilot during WWII and flew during this period from the East Kirby airfield. 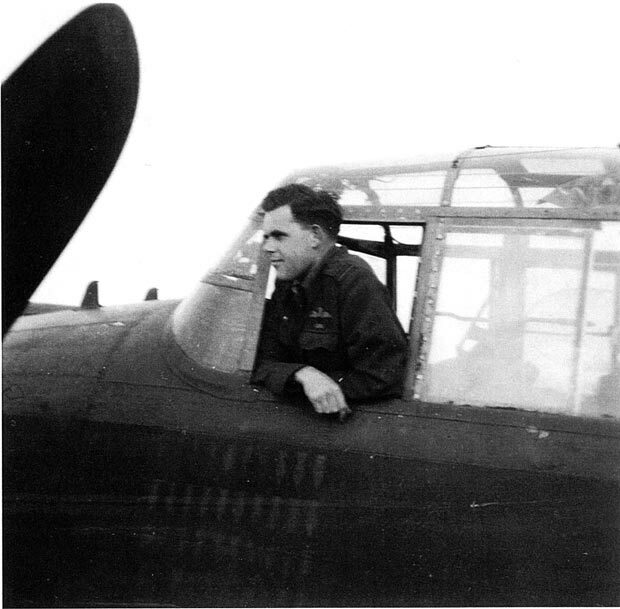 John Chatterton in the Lancaster Cockpit in 1944. Following in the family footsteps, Mike’s daughter Amy Chatterton (18) has also found her wings. 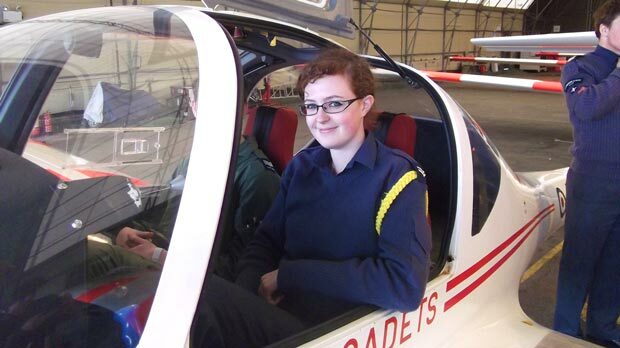 Amy recently gained her Glider Pilot Wings with the Combined Cadet Force. Amy Chatterton hopes to follow in her father’s footsteps. She recently earned her Glider Pilot Wings. Mike’s RAF career was rewarded at the Festival of Remembrance on Saturday November 9 when he lead out the contingent. Mike said: “My family has always watched the Festival of Remembrance on TV for as long as I can remember so actually being part of it today is something very special to me; I’m sure dad would have been very proud. “I have thoroughly enjoyed all my flying in the RAF over the last 40 years, and look forward to a further 5 years with the Air Experience Flight where I can pass on the joy of flying to future generations. “I have been to some amazing places and met lots of good friends, – many of whom I hope to keep in touch with. The highlight would have to be when I took Father and several members of his wartime operational crew for a flight in the BBMF Lancaster in 1993.